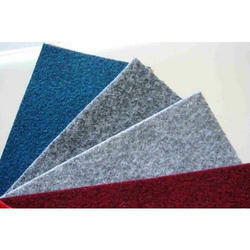 We are providing the highest quality of Nonwoven Felts to our customers. We provide Cotton rolls in different. These naturally soft Surgical Cotton is available in thin long consistent layers featuring skin-friendliness, and soft and smooth texture. Both sterile and non-sterile type cotton is offered by us as per the requirement of the customers. These are widely used in orthopedic therapy with an aim of recovery of bone. Herein, the length of our absorbent cotton varies from 13-15mm. 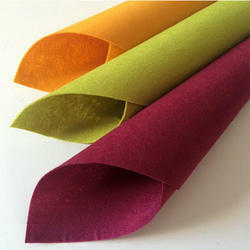 Ink Pad Felt is made with a blend of Polyester Viscose Fibre. Absorbs Ink properly and stays wet always.